PolarizedPlus2 lens technology made for brilliant color gives you a brighter outlook on life. These sunglasses are designed to change the way you see the world. Inspired by the beauty and culture of Maui, Maui Jim’s mission is to spread aloha through vivid color, clarity, and detail. 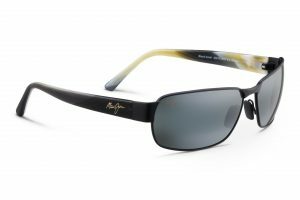 The Maui Jim collection is available at Good Looks Eyewear. Visit Our Pittsburgh or Cranberry Township location to pick up your sunglasses.